There is considerable interest in documenting the biodiversity of plants together with the associated microorganisms. We investigated the species composition and colonisation patterns of arbuscular mycorrhizal fungi (AMF) in five vegetation types in El Palmar National Park, Entre Rios, Argentina. The plant communities consisted of: gallery forest, grassland, marsh, palm forest and scrubland. The roots of 103 plant species of 42 families were examined for AMF colonisation. Ninety-three plant species were found to be colonized. Arum-type mycorrhizal colonisation occurred in 74 species, Paris-type in three species, three species had a mix of both Paris- and Arum-type. It was not possible to determine the colonisation type for 13 plant species. A total of 46 taxa of AMF, including the genera Glomus (15 taxa), Acaulospora (14 taxa), Scutellospora (8 taxa), Gigaspora (5 taxa), Archaeospora (1 taxon), Entrophospora (1 taxon), Pacispora (1 taxon) and Paraglomus (1 taxon), were identified. A higher diversity was observed in the grassland and palm forest, mainly due to a high proportion of Acaulosporaceae and Gigasporaceae. El Palmar National Park contains a well-established, highly diverse, native community of AMF. Consequently, the park may act as a place for in situ conservation of Glomeromycota. 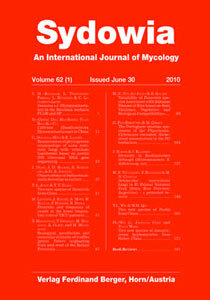 Keywords: arbuscular mycorrhizal fungi, Arum-type, Paris-type, protected areas.